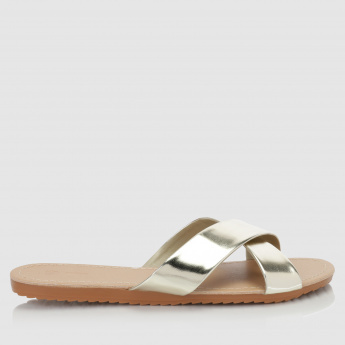 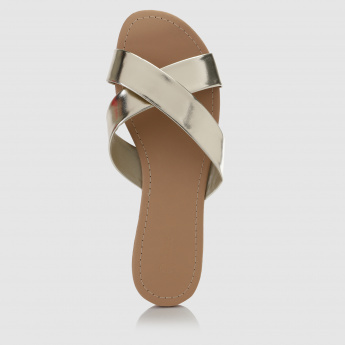 Your appeal will be enhanced when you put on these metallic sandals. 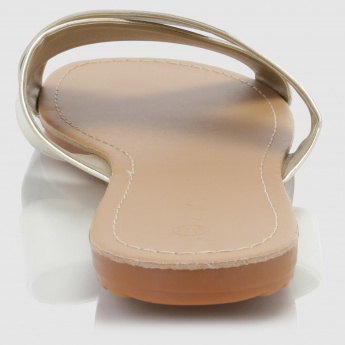 The two straps are crossed to look fancy. 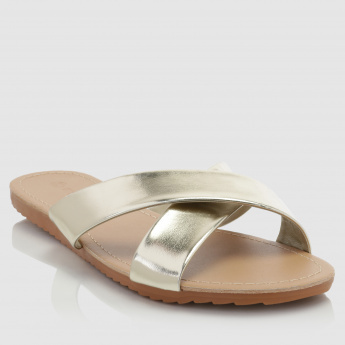 These comfort sandals have a soft inlay for ease in every step.